PRICE CHALLENGE! We strive to offer a contemporary product selection at competitive prices. If you've seen this product at a more competitive price then please challenge us and we'll see if we can match it. The product being compared must be in stock at the competitor, new, ready to ship, from the same product generation and in the same size and colour. We will need to verify the item availability with the competitor. Prices must be inclusive of VAT and delivery charges where applicable. We strive to match any bonafide UK brand authorised website but decline to match auction sites, liquidation sales or typographical errors. We strive to respond within 24 hours with an email and instructions on how to take up any offer, this is valid for 48 hours. All price challenges are at our discretion but we thank you for giving us the opportunity to pitch for your business and keep the lights on here at Countryside Ski & Climb. If you prefer call us during regular store hours via 01438 353086 or Freephone 0800 298 9975 - see more here. Waffle-knit/jersey-knit hoody made of 65% organic cotton/35% COOLMAX® polyester that combines an urban-friendly aesthetic with active functionality. 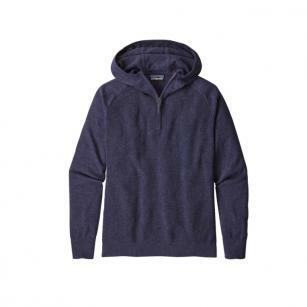 This hoody is made of a soft-next-to-skin blend of 65% organic cotton and 35% COOLMAX® polyester that feels like your favorite broken-in sweatshirt but wicks moisture to keep you comfortable and dry. The clean design features waffle-knit in the body and jersey-knit in the sleeves, plus a three-piece hood, raglan sleeves for mobility, a deep front metal zipper and ribbed hem and cuffs with invisible spandex at the cuffs and hem to maintain structure and shape. Hip length. We only sell from our stock which is ready to ship, all orders are treated as Priority and get the fastest delivery to the destination. In the UK this means next working day for orders received by noon. Please remember that your order requires a signature on delivery. Saturday, Sunday and Bank Holiday’s are not carrier working days. We cannot ship to Norway and Switzerland as these are not within our delivery zones. The forecast for the Easter Bank Holiday weekend is looking fine so crack on and get yourself outside! Remember the UK's weather can be temperamental so make sure you’ve got a shell in your pack just in case of a downpour. If you’ve got the kids this weekend why not escape the crowds and plan a walk together - there’ll probably be bluebells hiding in your local woods (no picking!) and after the stroll you’ll all be so much more deserving of a chocolate egg - or two! Whatever you’re planning, make sure you visit us at countryside.co.uk before you go - we’ve got everything you need for an egg-cellent adventure! It's a common, but outdated misconception that ‘recycled’ means ‘reduced quality’. 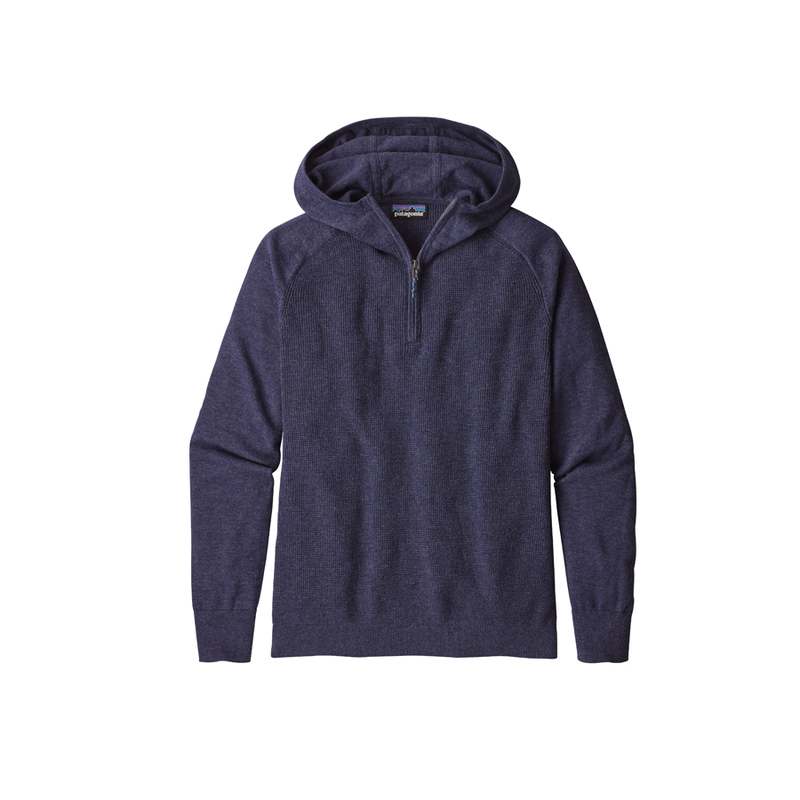 Today's recycled fabrics match the performance of those made with virgin materials and Patagonia has long made it their mission to make as much of their range of Patagonia clothing and equipment from recycled and recyclable materials. Patagonia’s recycled waterproof shells are also put through a vigorous series of tests to meet their stringent H2No performance standard so they never compromise on durability and performance. As we head for the month of ‘April showers’ (although some parts of the UK have already had more than their fair share) check your kit for damage and repair first but if anything is properly worn out then make Patagonia your next outdoor gear of choice at countryside.co.uk – it’s a win for you and a little win for the planet we all love exploring.